If you are interested in finding creative ways to boost your company’s ROI, then it is time to look into health and wellness programs for the workplace. It’s no surprise that having healthier and happier employees is a win-win for everyone involved. But did you know that the benefits of health and wellness programs actually extend beyond just workplace morale? Below we will list just three examples of different programs that Wellworks For You offers our clients – all of which have the potential of decreasing healthcare costs and sick leave absenteeism, therefore increasing your ROI! When employees are able to effectively reach personal goals and see positive changes in their own lives, they will be more focused and motivated at work, which will lower your health care costs, lower worker compensations premiums and reduce absenteeism. Many employees would like to stay informed and in control of their health, but find it hard to make time to schedule necessary preventive health care checkups. Wellworks For You can provide you with an onsite preventive screenings program, which will assign a registered nurse to your workplace. Rather than leaving for checkups, employees can stay at work and feel confident and secure that they are being proactive and informed about their health and wellbeing. This health and wellness program brings an otherwise lacking peace of mind to many employees and helps them to manage stress and anxiety about their health, all while maintaining their efficiency at work. Planning an annual health fair or Health Awareness Day is a simple and effective health and wellness program that will greatly benefit your employees and your company. 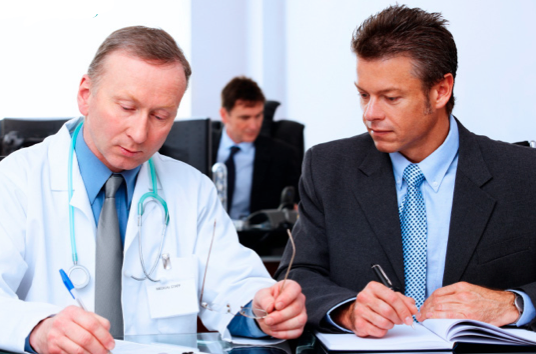 Wellworks For You can provide you with all the facilitating services needed for this day as well as all of the health professionals who will come to serve your employees. The offered services will be particularly provided for the specific needs of your employees at a discounted rate. From massage therapy to blood pressure screenings, your employees will benefit from this well-rounded and impactful program. These are only a few examples of the many and varied health and wellness programs that are available for your corporation to put to use. Here at Wellworks For you, we’ve seen the results of implementing these programs. As professionals in this business, we know that employees will be more energized, motivated and happy when they know that their health and wellbeing is a concern of their employer. Implementing even one of these programs will certainly boost ROI and the more that can be implemented, the better the results!